An intriguing all-Gershwin program introduced conductor David Charles Abell to the Boston Pops on Wednesday in the only Pops concert devoted to a single composer that I can remember. If “America’s orchestra” is going focus thus, it would be hard to beat Gershwin as the composer in the spotlight. Abell, an American-born conductor now living in London, has special experience in the musical theater, both in opera and musicals, and he works as a strong proponent of accurate musical editions of the great Broadway shows. As he discussed in an Intelligencer interview [here], he has prepared a critical edition of Cole Porter’s Kiss Me Kate, which he has conducted in two productions (the edition will be used for the dozen performances of Porter’s seditiously masterful take on Taming of the Shrew in this summer’s season of the Ohio Light Opera, in Wooster, Ohio). Abell’s stimulating variety of pieces represented pretty much the full range of Gershwin’s work: two overtures to Broadway shows (Girl Crazy and Of Thee I Sing), featured songs from those two shows, plus songs from other shows and from the Fred Astaire/Ginger Rogers film Shall We Dance, four selections from Porgy and Bess, Gershwin’s greatest masterpiece, and the score that really put him on the map, Rhasody in Blue. He invited three gifted soloists to join him, two of them singers: Nicole Cabell, 2005 winner of the BBC Singer of the World Competition in Cardiff, and Nmon Ford, a Panamanian-American baritone. Both have experience in opera in Europe and the United States in a wide range of roles; here they served both to bring the operatic heft and dramatic warmth required for the Porgy and Bess selections but also the lighter, sometimes comic, Broadway songs, though occasionally the lower vocal range of some parts of these songs meant that even with ample amplification, the lyrics occasionally lost the battle with the Boston Pops, which is larger by a considerable amount than any Broadway pit orchestra. Youthful Charlie Albright, the solo pianist for the evening, graduated from the joint Harvard/NEC program (majoring in pre-med and economics as well as piano), before following up with an Artist’s Diploma from Juilliard in 2014. He was interviewed by the Intelligencer earlier this week [here]. A very accomplished improviser, he first appeared with a successful solo fantasy on the songs just performed by Cabell and Ford, before joining the orchestra for the charming “Promenade” from Shall We Dance, the number also known as “Walking the Dog.” Returning at the end of the second half, he closed the official part of the concert with a vigorous, flexible, shapely and, shall we say, improvisatory take on Rhapsody in Blue. In addition to the large (and welcome) number of Gershwin standards, David Charles Abell brought us two largely unknown items. The first of these was a song, “I’ve Got to Be There,” from the short-lived 1933 show Pardon My English, richly sung and engagingly acted by Nmon Ford. 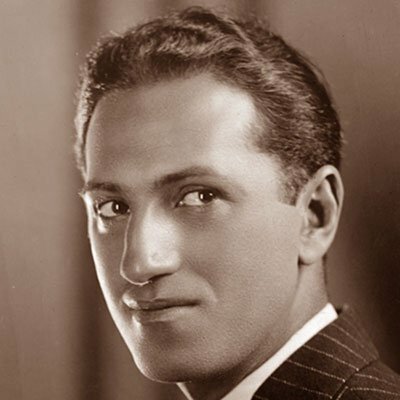 The second novelty came in a posthumous tribute to Gershwin arranged by one of his most frequent orchestrators in the early 1940s, a few years after the composer’s death, under the title The Gershwin Nobody Knew. Robert Russell Bennett assembled a medley of lesser-known Gershwin tunes, including one that was simply drawn from Gershwin’s sketchbooks, never used in a show, and never given posthumous lyrics by brother Ira (something that happened to several tunes in that source). Abell talked about these songs and (during the performance) signaled to the audience when the completely unknown song without words appeared. He also wondered what more Gershwin might have composed if he had lived a normal lifespan. There was a whisper of amazement in the audience making it clear that a substantial percentage of those present had had no idea that Gershwin’s early death puts him in the category of geniuses cut off in their primes. Audience response at the end of the concert, which can fairly be described as “wildly enthusiastic,” brought a final number as an encore: the main hit from Of Thee I Sing. Before giving the downbeat, the conductor pointed out that the show had opened on the eve of a presidential election year, December 26, 1931. As currently, the political parties’ violent opposition rendered the voters seriously disgruntled. The only campaign platform that promised success was simply, “Love,” and that motivated the show’s biggest tune, “Love Is Sweeping the Country,” which was performed by the two vocal soloists as heard in the original show, followed by a stanza with new lyrics by Bill Rosenfield referencing the current campaign. From the colorful lighting and bubbly at the tables to the lively engagement of the swinging musicians, the whole evening rang with brilliance, energy, occasional poignancy, and frequent high spirits that characterize Gershwin and his work. David Charles Abell can clearly bring these qualities out, especially with the Boston Pops, which has the Gershwin style down pat. All around, a well-planned survey and a splendid tribute.